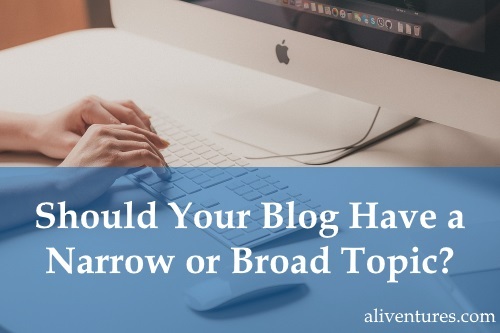 Should Your Blog Have a Narrow or Broad Topic? Back when I got into blogging, in 2007, new bloggers were often told to choose a “niche”. If you wanted to be successful – so the thinking went – you needed to have a very specific topic, to differentiate yourself from all the other blogs out there. Today, there are obviously even more blogs (not to mention podcasts, twitter chats, Facebook groups…) competing for attention. Some bloggers still feel that, to succeed, they need to have a really unique topic or a very narrow niche, like “iPhone covers for the over 60s”. But I think the “niche” advice is outdated … and I’m not sure it was ever quite right in the first place. Many blogs – including many very popular blogs! – cover relatively broad topics. Write to Done, for instance, has advice on all sorts of aspects of writing – covering fiction, freelancing and blogging. Michael Hyatt’s blog centres on leadership, but takes in a huge number of diverse topics, from blogging and platform-building to hiring and managing a strong team. So do you really need a niche? And if you do … how narrow should that niche be? Let’s take a look first at why the “niche” advice became so popular in the first place. In the very early days of blogging, most blogs were essentially personal journals. Their “topic”, as such, was the blogger’s life and interests. There are still plenty of these blogs around (I like Richard Bartle’s) and they certainly still have their place. If you’re struggling to see why blogging about anything and everything is a problem, look at it this way: most people will, inevitably, not share all your interests. They may well drift away if they’re only interested in, say, one out of every ten of your posts. 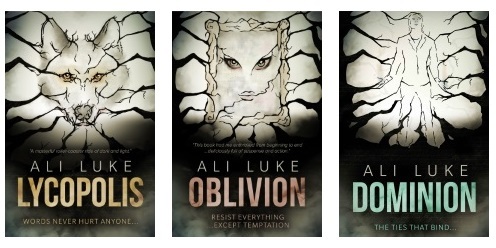 Here on Aliventures, I blog about writing. I occasionally mention other aspects of my life – like my two small children – but I don’t blog about, say, raising kids, or cooking, or great books I’ve read, or stuff to do around Leeds (where I live) or any of the other things going on in my life! When you pick a topic for your blog, though, you don’t want to rein yourself in too tightly. You want some room to develop and grow your ideas, without being tied into a very rigid and specific topic. For instance, if you chose to blog only about “writing dialogue”, you’d probably find that you ran out of ideas and resources after a few weeks or months. Your blog might well become the go-to place for people wanting to craft better dialogue – and you could have a fairly static website designed to support, say, a book or course on the subject – but you’d be unlikely to want to write about dialogue every week for several years. When you launch your blog and choose what to call it, you’ll also choose a domain name. (For help with that, check out my post Three Different Ways to Name Your Blog or Website.) 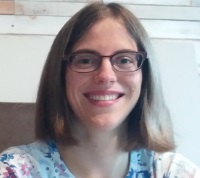 If your name is too restrictive, it can make it difficult to change direction: writingdialogueforyournovel.com, for instance, is very specific, whereas something a little more general like talkingheads.com gives a bit more scope. A good blog topic, then, is one that’s clear and defined but that gives you some breathing and growing room. With the “angle” you bring to your topic – e.g. The Write Life covers general writing advice but with a focus on freelancing and making a living. With your voice or style – e.g. Naomi from IttyBiz very much built her blog on this, plus her specific audience focus on tiny businesses. With the type of posts you publish – e.g. Smart Blogger have very long posts that go into lots of depth; Seth Godin is known for short, pithy but insightful posts. If you’ve been blogging for a while about several quite different topics, you might want to survey your readers to find out what topics they’re most interested in (you could also look at which posts are performing best in Google Analytics). There’s no “right” answer when it comes to blogging, and of course you should feel free to write about whatever you want – whether that’s one very narrow topic or several very broad ones! Keep in mind, though, that if you want your blog to gain readers, to make money, and/or to raise your profile in your field, you’ll do best if you focus on a clear topic that gives you – and your readers – room to grow. If you’d like a bit more help with your blogging, do check out my free ebooks Ten Powerful Ways to Make Your Blog Posts Stronger and Ten Easy Ways to Attract Readers to Your Blog … And Keep Them There. They’re quick to read, packed with tips you can put into practice right away, and completely free – you can find out more and sign up for them here. I prefer to read narrow topic instead. I think it’s depend on the topic. If we blogging about “blogging Tips” maybe, it can cover something like writing advice, seo, or making money online. Every thing still related. but sometimes broad topic can make our audience confused. Said we blog about travelling. And if we writing about raising kid or finance, It was no correlation. So, We must choose broad topic that related each other or you can try to write every think and got nothing. Broad blog topics, narrow posts? I think that’s a good plan, Diego! Thanks for sharing this post. I will make a note.